The front element of the AT-X 107 DX has a newly formulated WR or “Water Repellent” optical coating on the glass. This new coating makes marks such as spots left by water or finger-prints much easier to clean than standard multi-coating. 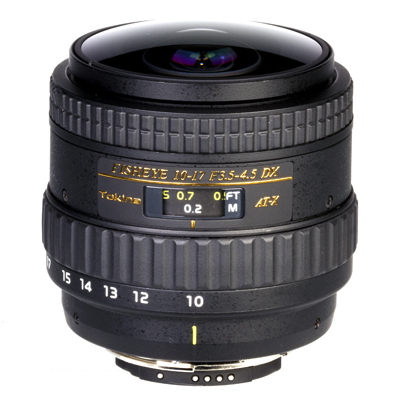 With the built-in hood removed the lens also fits in a wider variety of underwater housings. *Full corner to corner image can be achieved on an FX camera between approx. 14.5-17MM depending on the camera model, at 10-14MM there is a semi-circular view.